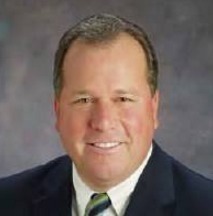 DAVIS — In a contest between two Democrats, former Assemblymember Mariko Yamada lost to current Assemblymember Bill Dodd of Napa in the State Senate District 3 election on Nov. 8. Yamada received 108,136 votes (40.8 percent) to Dodd’s 156,808 (59.2 percent). 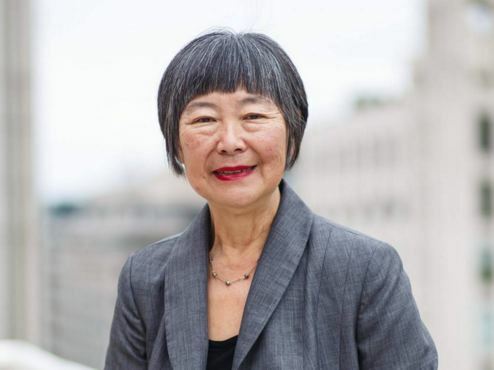 Yamada, who was termed out of the Assembly and previously served on the Yolo County Board of Supervisors, and Dodd, a former member of the Napa County Board of Supervisors and a former Republican, were vying for the seat being vacated by Democrat Lois Wolk of Davis, who is termed out. In a message to her supporters on Nov. 9, Yamada said, “First, I want to thank you for your steadfast support throughout our long and challenging campaign for the State Senate. Each and every time I put out a call for help, you responded, and I will never forget your generosity and encouragement. “I also want you to know that today, I called Assemblymember Bill Dodd to congratulate him on his win and to wish him well as he assumes his responsibilities as the next California state senator for District 3. Representing nearly one million constituents is a big job, one that should not be taken lightly. “Although this is not the outcome we worked so hard for, I am very proud of the strong and exciting grassroots campaign we built together over the past 20 months. Running for the State Senate and having the opportunity to speak with so many wonderful people throughout this beautiful district has been a great honor. I will cherish the many ‘tales from the trail’ I experienced while meeting so many of you. “Our remarkable people-powered campaign, organized around kitchen tables and out of coffee shops throughout the 3rd District, must now come to an end. Thanks to my family, our staff, endorsers and thousands of individual small donors and countless volunteers who helped us cross the fall campaign finish line. 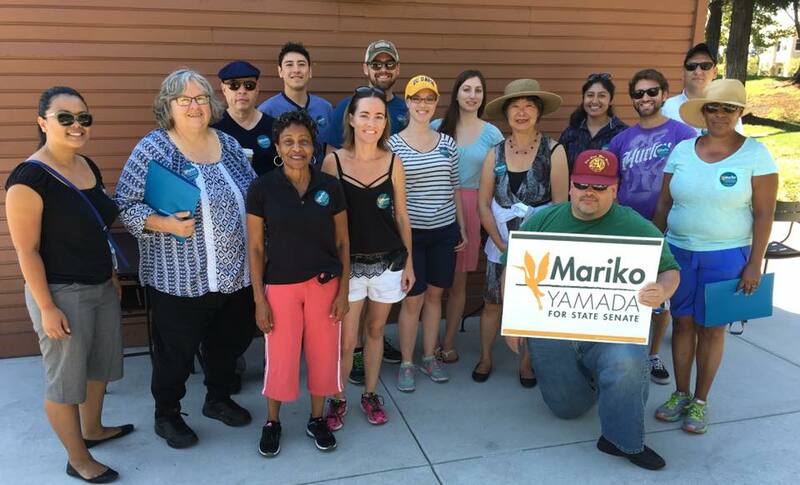 Mariko Yamada with supporters in Vacaville.